The government expects negotiations with Royal Caribbean Cruises Ltd. (RCL) and ITM Group to go smoothly, Minister of State for Grand Bahama Kwasi Thompson said yesterday. 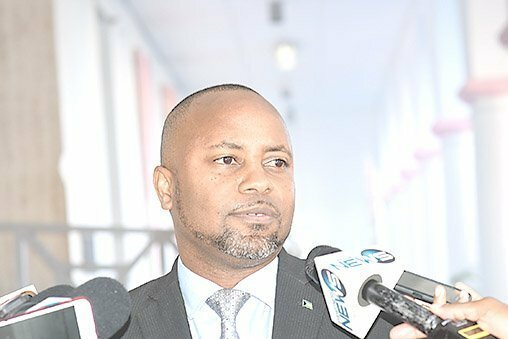 The minister sought to allay concerns raised by Pineridge MP Frederick McAlpine who recently said that the government’s projected timeline for the completed heads of agreement for the purchase of the Grand Lucayan resort is too long a wait. “The government is going to do all that it can to negotiate a very good deal, but also to negotiate it in the shortest possible time,” Thompson said when asked to respond to McAlpine. “It’s important for Grand Bahama and all of us. On Sunday, McAlpine said he’s not excited that the government simply signed a letter of intent for the sale of the hotel. “I need to remind the country that a letter of intent is not a purchase, it’s just simply that, a letter of intent,” McAlpine said. Last week, Lucayan Renewal Holdings Ltd. signed a letter of intent (LOI) with Royal Caribbean Cruises (RCL) and the ITM Group for the purchase of the Grand Lucayan resort on Grand Bahama and the redevelopment of the Freeport Harbour for $65 million. “The LOI is the first step,” Thompson said yesterday. “The LOI allows us to move forward with respect to exclusive negotiations. The government said the proposed joint-venture project between RCL/ITM will “include the redevelopment of the Grand Lucayan resort into a world class destination, featuring water-based family entertainment, with dining, gaming and entertainment options, and five-star hotel accommodations”. Thompson said the opportunity of this development “cannot be understated”. The government purchased the Grand Lucayan last year for $65 million, with $30 million paid upfront. The sale is expected to be completed in three to five months, according to Deputy Prime Minister and Minister of Finance Peter Turnquest.